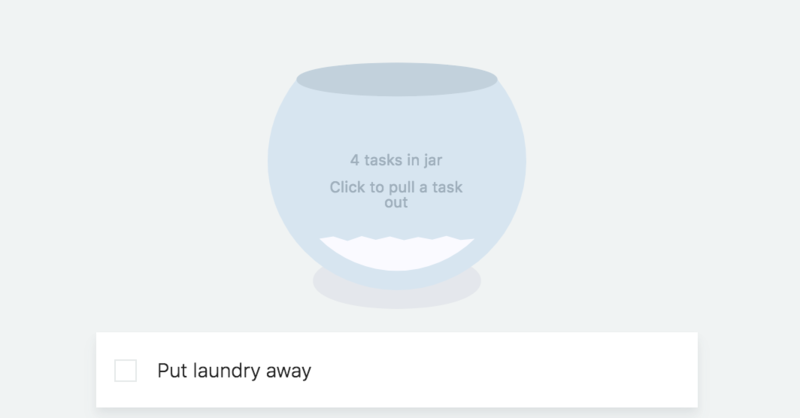 The task jar is a fun strategy that can be very helpful if you want to get through a long list of tasks for a day but you don't want to figure out the order to do it in. Turn this strategy on and a small jar icon will appear at the top right of your daily todo list. When you click the jar icon, all of today's open tasks are added to a jar. You can see how many tasks are in the jar at any time. Clicking the jar pulls out a task at random.